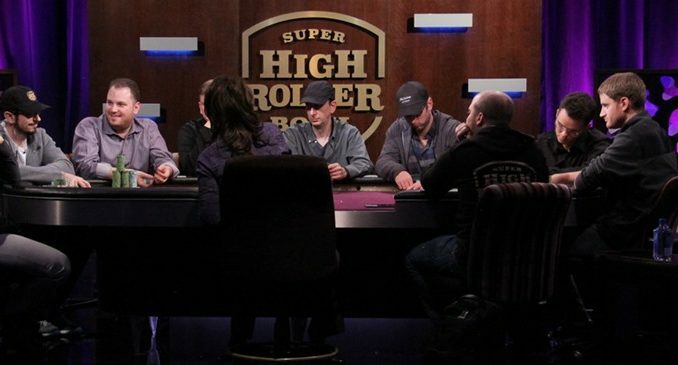 One of the all-time best and the most awarded players in poker history, Daniel Negreanu, made a statement that he had come to win the $300,000 Super High Roller Bowl 2018 tournament. The legendary poker player did a great job on the first day. Daniel had no match in the levels 1-7, and he managed to pass them all with ease in the PokerGO Studio which is located right next to the ARIA Resort & Casino. He managed to create a great chip lead and created a firm ground for further competition. The competition started with 48 elite world’s poker players who all came with similar intentions as Negreanu. What many thought would put him in a slightly disadvantaged position is the fact that other competitors are younger than him. Negreanu is considered an old-school poker player, but he managed to prove everyone wrong so far. This is mainly because he spent the whole year adapting to the new trends and improving his game rather than letting the time pass him by. He stated that his hard work is effective and that the facts are on his side. Namely, he claimed to the “INSIDERS” that his new approach to game theory and drilling resulted in him winning money on the first poker event after the training. This was a great boost for him, and he is now seeing the fruits of his effort in Super High Roller Bowl, a tournament which is considered the most prestigious Poker competition in the world. Although Negreanu looks to bag up to 1.6 million, there is still a long path ahead of him, before he reaches the finals. The total prize pool for the tournament is amazing $14.4 million, and it is split among seven best players. The one million cap was crossed at the 5th level of the game. His only competition at that time was Kathy Lehne, who was the only female player. She managed to get to this point by a great start where she saw through Brian Rast’s bluff. However, the race between the two leading players soon came to an end as Negreanu managed to knock out Andrew Lichtenberger. At the end of Day 1, we saw 18 players bowing out which means that 30 players stay in competition for the second day. Currently, the second place is taken by Jason Koon who managed to eliminate Timofey Kuznetsov. Others behind him are Steffen Sontheimer, Stephen Chidwick, Bryn Kenney, Seth Davies, and Justin Bonomo. The last champion, Christoph Vogelsang is slightly behind all of them with currently having 232,500. How will everything turn out? Is Negreanu going to succeed?